Living room: With 55" Freeview Smart TV and wooden floor. Shower room: With shower cubicle, toilet, heated towel rail and bluetooth speaker. Maximum occupancy is 3 guests.. Gas central heating, electricity, bed linen, towels and Wi-Fi included. Welcome pack. Enclosed lawned garden with patio and garden furniture. Private parking for 1 car; additional on road parking. No smoking. Please note: The property is accessed via a narrow drive. There are 16 steps and a slope in the garden. . From its enviable elevated position in Leigh on-Sea overlooking the estuary, Mulberry Cottage is ideal for those looking for a world away from the hustle and bustle, yet it is only 45 minutes from London on the train. Beautifully renovated throughout, guests staying at this terraced holiday home can enjoy luxurious living and modern touches with a traditional feel. 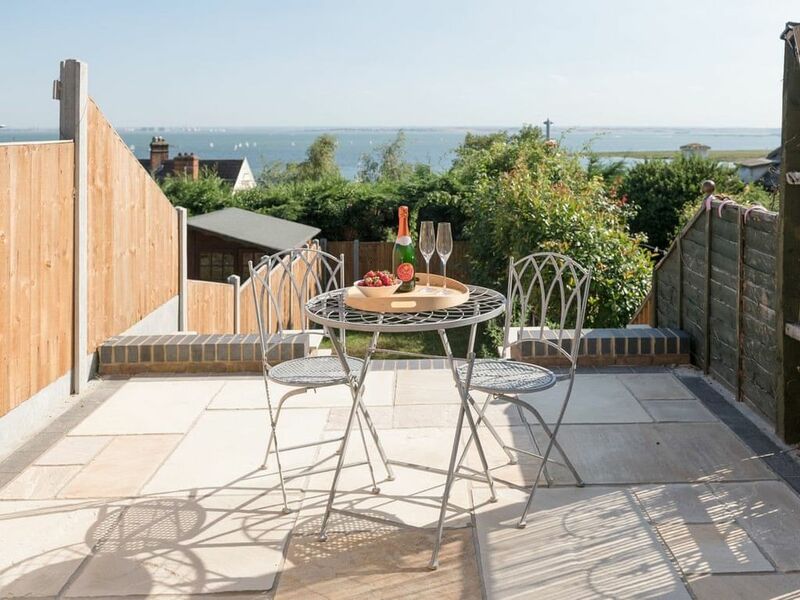 Mulberry Cottage is close to the town of Leigh-on-Sea, with cobbled streets, traditional pubs, museums and restaurants serving fresh, local seafood. A man-made beach is close by, ideal for summer lazy days and bracing winter walks when the nights draw in. Southend-on-Sea is easily accessible, via a long walk or train, and offers a more lively experience with shopping, dining and the famous pier! Beach ½ mile. Shop ½ mile, pub and restaurant 500 yards.